Did you have the chance to watch this keynote speech by Gary Vaynerchuk yet? It was recorded at the Inman Connect 2016 conference, and one particular part of this video really resonated with me. For the sake of brevity, I focused in on one just that 2 minute clip, because it speaks directly to one of the biggest opportunities real estate agents face today. This is an unprecedented time in history…Realtors now have the ability to connect with 100’s or even 1,000’s of their ideal clients online fairly inexpensively. But it is both a blessing and a curse for one very specific reason. People are being bombarded with marketing messages daily, which means focus is limited. And in order to survive in this digital marketplace, you need to know how to call out to your audience. What are you doing in a 2017 environment that is going to help you sell more homes? We are living through the single biggest communication shift since the printing press. I think everybody is grossly underestimating how big of a shift this is. – Gary Vaynerchuk. This is the most fascinating time to be in real estate, primarily because there is a MASSIVE movement occurring right now that is severely shaking up our industry. How people search for homes, gather information, communicate with friends and family, and conduct business is drastically changing (at an alarming rate). As a result, we must learn to quickly adapt to the changing times or end up like Blockbuster. Yes, certain old-school methods may still work on some level, but the average client (especially upcoming generations) are learning from early childhood how to function in a digital world. Right now, Facebook is by far the most cost-effective platform you can use to build your list. 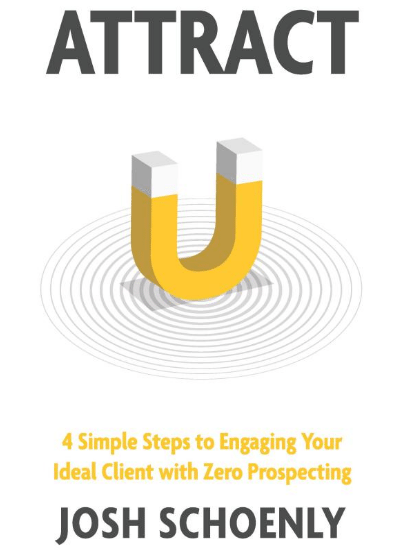 In fact, you can literally build a hyper targeted list of ideal prospects including a person’s income, relationship status, age and interests. Within seconds, Facebook will allow you to only show ads to people who match a specific demographic, which allows you to speak a very specific message to a very specific group of people. Secondly, email marketing and direct messaging (i.e. SMS and Facebook messenger) prove to be the best way to nurture leads, build a relationship, and make more consistent sales long-term. The easiest way to gain your prospects’ attention and flush out all the extra noise is to build your list in such a way that you become the expert authority. In other words, learn how to position yourself in such a way that people come to know, like, and trust you as the ONLY solution to their real estate needs. By taking people off of Facebook and onto your own list, you are now in complete control of when and how you speak to your target market. And there is a proven step-by-step system you can follow to accomplish this, even if you’re just getting started in real estate or never ran an ad online before. Simply click the image below to claim yours RIGHT NOW, and get ready to discover the exact formula 1,000’s of our clients have used to generate a consistent and predictable flow of *Brand NEW* leads and clients online. ← New Construction Facebook Lead Ad (33 Leads for ONLY $1.75/each)!